I was going to post this tomorrow but I just couldn’t wait. Yes, I am the one that shakes and pokes all of the presents under the Christmas tree. Want to make me crazy? Tell me you have a surprise for me and then make me wait a few days to tell me what it is! NUTS!! I was excited to grill veggies. I mean we have grilled corn but that is about it. I had thought about doing the Spicy Grilled Corn but just thought it wouldn’t go with the salmon. I knew the veggies would be beautiful with it and the garlic balsamic reduction? OhhhEmmmGeeeee soooo good!! 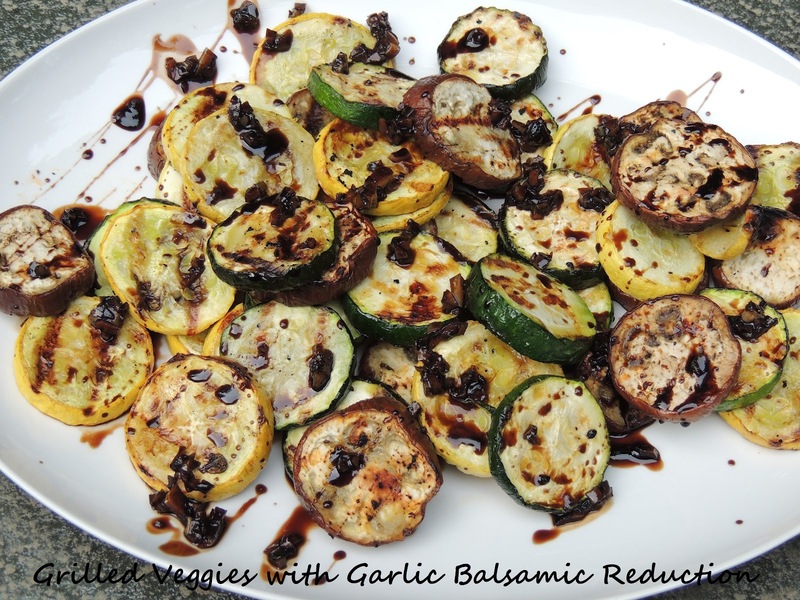 I love the flavor of balsamic anyway but when you reduce a good balsamic? Heaven! I am really starting to get adventurous with other flavored vinegar, just dabbling a bit here and there. Hopefully I will come up with a knock out soon!